Western Cape Finance Minister Ivan Meyer delivered the 2019 Provincial Budget Speech on 5 March 2019. In his speech he outlined the provincial government's priority spending plan for the next financial year. We will continue to maintain our established financial and budget policy values of the optimal distribution of needs based services, financial sustainability, financial consolidation and financial discipline. 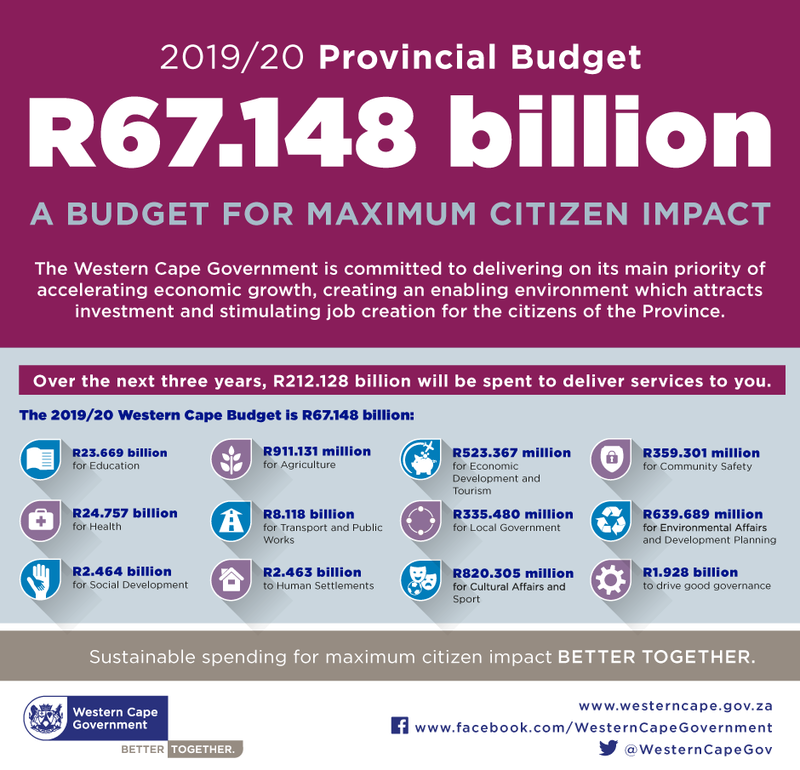 The 2019 Western Cape Budget provides total expenditure amounting to R67 148 billion in 2019/2020. Each provincial department is allocated a budget that is used to deliver services in the province, and to help the province reach its Provincial Strategic Goals. In their budget presentations to provincial parliament, the provincial ministers outline how their budget allocation will be spent in their department.